Happy 2013! This will be my first post for this year. I've been busy trying to get back to my regular life in Austin from my winter vacations, but I am back. Let's talk fashion... shall we? It's a new year, spring is coming and I am loving some new trends. This spring is all about bright colors, neutrals, and classic pieces. This season, we welcome back the BERMUDA SHORTS. Yes, they are making a comeback but don't worry, this time they are more fashionable than ever. The cool-girl, slouchy shorts are perfect for spring because they are very confortable, chic and flattering for every body shape. Everybody should own at least a pair this spring. 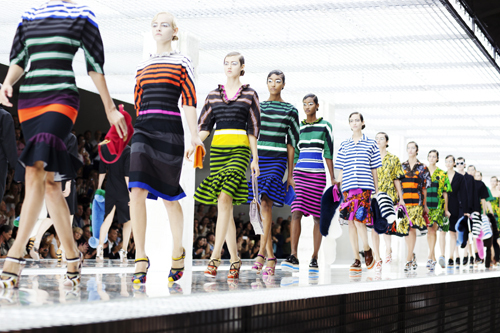 BOLD STRIPES made an appearance in almost every Spring 2013 fashion show. 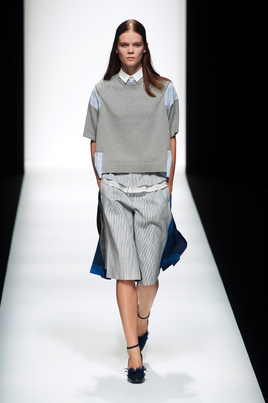 Stripes are very classic, but designers took them to the next level by putting them on models head to toe. If this is too bold for you, you can pair them with jeans; very "all american," or pair them with some navy putting a very nautical twist. 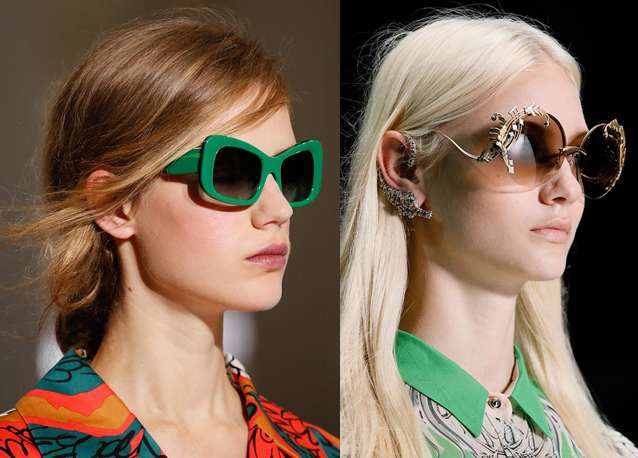 There is nothing better than STATEMENT SUNNIES. They are a perfect way to make any outfit feel like it just came out of the runway. From bright colors, to round or heart shaped, to a variety of sizes, each pair is more fabulous and louder than the last. This season, don't get caught without yours, you and everybody else will love them. It wouldn't be spring without showing some skin! PEEKABOO PIECES are here to stay. From dresses to blouses, cut outs are everywhere. Perfectly for those upcoming warm days. I'm especially loving the cut outs in flowy and structured dresses. Pair them with killer high heels and you have the perfect outfit for a night out.